Wheat Berries are the whole grain form of wheat—the whole, complete grain before it has undergone any processing. They're a crunchy, high-fiber whole grain that can be used much like any other whole grain. Wheat berries are the original source of all wheat products before any refinement occurs. For example, wheat flour is made from milled, ground wheat berries and then made into bread. If you have a home mill (or a Vitamix high-powered food processor), you can use wheat berries to make your own fresh wheat flour at home. But before you can begin making your own flour, it is beneficial to learn all about wheat berries, from where to buy to how to cook to properly storing them, as well as their nutritional information. If you're new to cooking with whole grains or you've never tried wheat berries, you may want to look for wheat berries in the bulk foods section of your local co-op or Whole Foods stores; this way, you can try as little or as much as you'd like. Other grocery stores may sell wheat berries in the "natural foods" section, and you may also find them in the ethnic foods aisle alongside other whole grains such as freekeh and bulgur. Aside from buying bulk, Bob's Red Mill is one popular brand that sells packaged wheat berries. If you can't find them locally, you can order them online in a few different varieties including hard red wheat berries, soft white wheat berries, and organic hard white wheat berries. Wheat berries aren't trendy, compared to quinoa, so you might be surprised by just how affordable (that is, cheap!) they are compared to other whole grains. Because they are a bit tough, whole grain wheat berries do take a long time to cook. To prepare wheat berries, cover them with plenty of water and simmer in a covered pot for about 1 hour, or until soft. 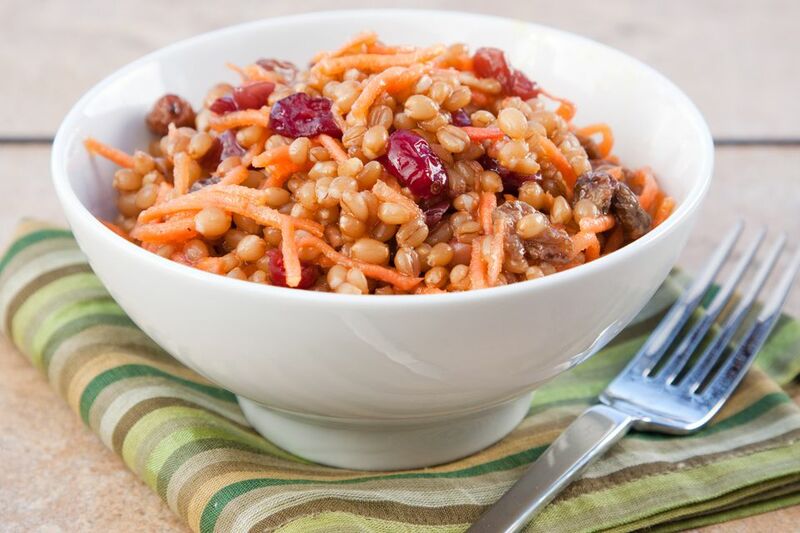 For quicker cooking time, wheat berries can be pre-soaked overnight, or even just for an hour or two. Pair cooked wheat berries with a vegetable stir-fry or a sauce, or use it like you would rice or any other whole grain. You can also try a vegetarian wheat berry chili or Polish wheat berry pudding, a sweet pudding with fruits and nuts that is often eaten as the first course on Christmas Eve. Because of their dense texture, wheat berries also do well in the freezer, if you want to prepare them in advance. To freeze, cook wheat berries as you normally would and allow cooling completely, fluffing occasionally to allow steam and moisture to release as they cool. Then, transfer to an airtight freezer-safe container and freeze for up to one month. Wheat berries are highly nutritious; because the kernel is intact and hasn't gone through any processing, almost none of the nutrients have been stripped away, leaving the wheat berry in its natural form. Wheat berries are high in fiber, iron, and protein as well as magnesium and Vitamin E. They are also low in calories and fat. One serving of wheat berries (1/4 cup dry) contains 160 calories, with a total fat count of less than one gram. Because wheat berries are, quite literally, wheat, they are not gluten-free.